York has been making good-quality and very affordable HVAC models like the York Latitude Series Model TCGD 13 SEER central air conditioner for many years. This is a solid, reliable unit that gets standard efficiency and comes at a price point that budget-minded consumers appreciate. Jerry in Great Neck, NY had one installed recently and shares his York Latitude Series Model TCGD 13 SEER central air conditioner price with us. 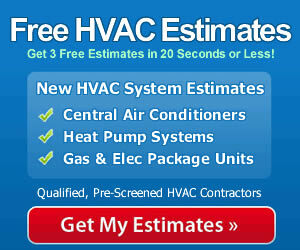 We pass it along in our ongoing series of HVAC prices. Compressor protections include high-pressure switch and temperature monitor. Advanced coil uses MicroChannel tubing and aluminum fins for more efficient heat transfer. Aluminum coil construction also resists corrosion. Connections and wiring are all easily reached to lower installation costs. Isolated compressor compartment and other design features lower noise of operation. Low maintenance is assured with a permanently lubricated fan motor. Pre-painted steel cabinet offers good protection and resistance to corrosion, chipping and fading. When you’ve found a good deal on a quality, inexpensive air conditioner like the York Latitude Series Model TCGD, the best way to make the most of those saving is have the unit installed by a professional, qualified contactor. Properly installed units will function at higher efficiency and will be less susceptible to mechanical failures. So when you are shopping for central air conditioner prices, be sure to factor in the cost of professional installation, an expense that may save you money in the long-run if your unit gets better efficiency and has greater longevity.